Maserati is a car manufacturer of luxury Italian sports and racing. Founded by three brothers Maserati in 1914 and whose symbol was inspired by the Fountain of Neptune in Bologna which is a trident. The first car brand in 1926 called Tipo 26 and was inspired by the Diatto. A model that will quickly become a formidable competitor of Bugatti. In 1926, this particular model won the Targa Florio race. In 1937 the company’s shares are sold to the Orsi family will become the sole shareholder in 1953 for Maserati. 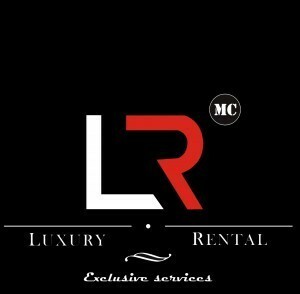 Mc Luxury Rental we offer recent models of the brand, the models that have proven themselves to customers. 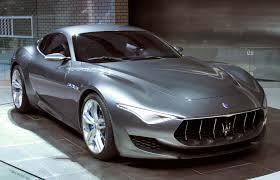 The GranTurismo is presented in March 2007 at the motor show in Geneva, it has a V8 engine developing 397 horsepower. A luxury vehicle with a powerful engine that will be available in convertible version in 2009. The GranCabrio is the successor model to the GranTurismo. Elegant, powerful, a model that evolves and does not lose performance. An incredible road holding thanks to its engine. Maserati is a brand experience and advanced technology. For the 100 years of the brand model GranTurismo Centennial is presented to the audience. Always the same design but presented with different body colors. Maserati is an experience recognized in the middle of the car you’ll love his presence in Italian. 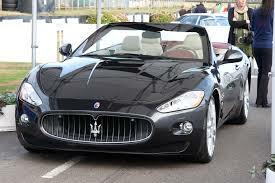 Mc Luxury Rental allows you to rent a Maserati for your stays in Europe.